Despite what proponents say, Measure 101 is not a referendum on public employee pensions. Given the complexity of public health policy, it's not surprising that the campaigns on either side of Measure 101 have reduced their arguments to misleading soundbites. Proponents say a "no" vote will jeopardize health care for hundreds of thousands of Oregonians. That's unlikely. Opponents say a "yes" vote is a back-door sales tax on students, schools and charities, which can easily be replaced by a "fairer" funding scheme. That's just plain wrong. Voters, caught in the middle of this confusing debate over complex policies actually have a relatively simple choice: Do they want to blow up the upcoming legislative session and gamble that in six weeks lawmakers can find a better solution than the one they labored on for six months last year, or do they want to test-drive the law that was passed last summer before changing it? To us, the choice is clear. Voters should support Measure 101 and hold lawmakers accountable. The law, if it stands, will require reauthorization in two years. If it is as bad as critics say, lawmakers will be able to rewrite it when they come back a year from now for the long 2019 session. If it's working, they can extend it. Measure 101 is, in effect, an attempted "do-over" by the losers of a tough political fight. 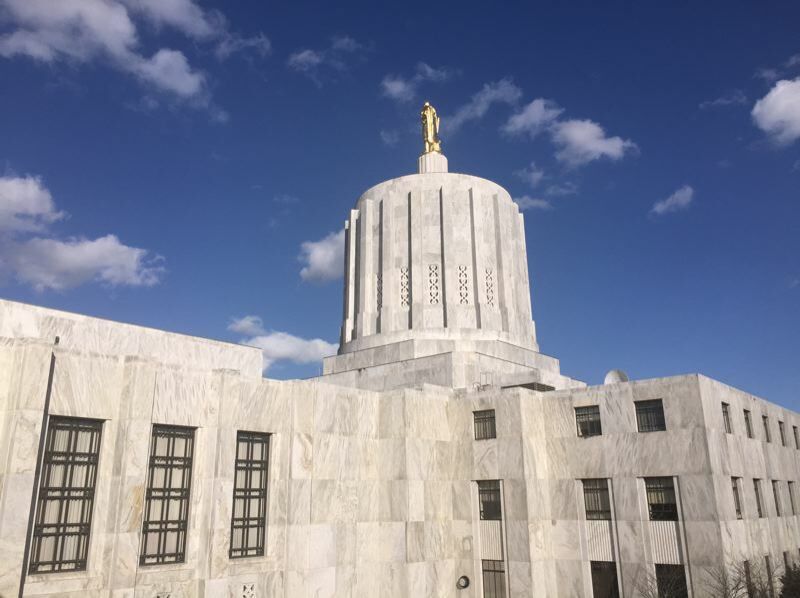 Faced with an obligation to pay an increasing share of Medicaid costs, lawmakers arrived in Salem last year looking for a way to continue offering federally subsidized health care to poor, elderly and disabled Oregonians. This shouldn't have surprised anyone. In 2014, Oregon chose to take advantage of the Affordable Care Act and expand Medicaid coverage to 350,000 previously uninsured low-income residents, knowing that in 2017 the state would need to start paying 5 percent of the costs (and more in subsequent years). After months of debate and deliberation, they came up with House Bill 2391, which boosted taxes on health providers and health insurance policies. The legislation, which raises about $335 million a year, garnered just enough Republican votes to pass the Democratic-controlled Legislature. Because Medicaid costs are reimbursed by the government, increased enrollment means more revenue and fewer uncompensated "charity" cases for providers. So hospitals and insurers, eager to keep those 350,000 patients covered, didn't complain about the new taxes they'd have to pay. But a few Republican lawmakers, led by Rep. Julie Parrish, did. They collected enough signatures to refer several provisions of the bill, including the new provider taxes, to the Jan. 23 ballot. As a result, Oregon voters are now being asked to vote on a measure that most health care experts don't fully understand. A farmer in Forest Grove is supposed to weigh in on "a 1.5-percent assessment of the gross amount of premiums earned by the insurer during that calendar quarter that were derived from health benefit plans delivered or issued for delivery in Oregon." A bank teller in Beaverton is being asked to evaluate "a 0.7-percent assessment ... imposed on the net revenue of each hospital in Oregon that is not a waivered hospital." A programmer in Prineville is supposed to decide whether it's a good idea for the Public Employees' Benefit Board to "pay a 1.5-percent assessment on the gross amount of premiums equivalents received during the calendar quarter." Really? Isn't that what we send people to Salem to debate? It's difficult enough for legislators to understand the intricacies of tax policy. It's unfair to ask voters to do so, just because a few lawmakers object to what a majority of their colleagues did. The sausage-making legislative process in Salem is never pretty. And House Bill 2391, like any bill shaped by the pull and push of politics, has its problems and did little toward finding a stable, long-term solution to public health financing in Oregon. But it was the only funding package that had the votes to pass and lawmakers wisely put a two-year limit on the new provisions, meaning that they will have to take up the issue again a year from now. Despite what proponents say, Measure 101 is not a referendum on public employee pensions. It's not a vote on "Gov. Kate Brown's sales tax." And it's certainly not an attack on schools and college students. A "no" vote would force lawmakers to deal with a $330 million shortfall as they approach the midway point of a two-year budget. We doubt they would kick 350,000 people off Medicaid when doing so would risk up to $1 billion in federal matching funds. What's more likely is another patchwork of untested funding schemes and cuts to other budgets — including schools and social services — and more limited health care for those who remain on Medicaid. A "yes" vote on Measure 101 allows the democratic process to work, gives lawmakers a year to monitor the new financing package they passed last summer, avoids another divisive distraction from other pressing issues and ensures that our state's most vulnerable residents get quality health care. Oregonians should vote "yes" on Measure 101 and then insist that lawmakers — and would-be lawmakers — get serious about long-term tax and spending reform in the state.